Walking with the Lord without knowledge of Jewish understanding is like eating yogurt with fruit on the bottom and never mixing it up. The unflavored yogurt on top is good for you, but we sometimes have a hard time eating it without wondering what anyone sees in it. Over time we develop a taste for it and come to enjoy its benefits. However, when we discover there is a depth to the yogurt, sweet fruit hidden under the surface, it all becomes a glorious dining event! And that’s what digging into the Hebrew Scriptures is like – discovering the hidden fruit. When we mix it all together, we come away with a sweet tasting, nutritious treat. A good example of this is a sermon I read the other day. A friend of mine was so excited to hear Jesus preached as the Jewish Messiah, that he immediately shot the link to me through Facebook. It is a teaching by John MacArthur on the festival of Pentecost. I was thrilled at my friend’s excitement over hearing the Jewishness of our Messiah preached. However, when I read the sermon it broke my heart. It was evident that MacArthur missed the fruit on the bottom for the festival of Pentecost. And it’s a shame, because it is wonderful, glorious fruit! Right out of the box MacArthur taught that Peter’s sermon is the very first sermon preached in a brand new religion. Here is a false assumption that “the church was born” on that day; that God intended it to be a separate entity, rather than His people understanding that the Messiah had come and that ‘the Kingdom of Heaven is at hand’. Quickly following this, we hear that what happened on the day of Pentecost is unparalleled in human history. And this is so sad because the parallel is immense! In Judaism, the festival of Shavuot (Pentecost) is traditionally understood to be the anniversary of the giving of God’s Torah (His Teaching) to the children of Israel from Mt Sinai. Again, going back to the original language we find that they not only heard the voices, but more accurately they saw the voices. They saw the lightnings. Does this not sound like the tongues of fire that were seen on the Jewish disciples of the Jewish Messiah on the day of Pentecost? So from a Jewish perspective, the day that the Holy Spirit came upon the disciples can be understood to be a Sinai event. And since we are talking about Jewish men – 3,000 of them – we really need to see through the lens of Jewish understanding. Another point MacArthur made was that the day of Pentecost is ‘very hard to explain’. In truth, this day is actually easy to explain, when you understand the Hebrew Scriptures. It was another Sinai event. It is exactly what took place on Mt Sinai at the giving of the Torah – the sound, the sight and the delivering of the message in every language so the people understood. When we focus all our attention on the church being a separate entity from Israel, we miss the mark of truth. As disciples of the Messiah, grafted into (not replacing) God’s chosen people, we should understand the depth of meaning of this day. 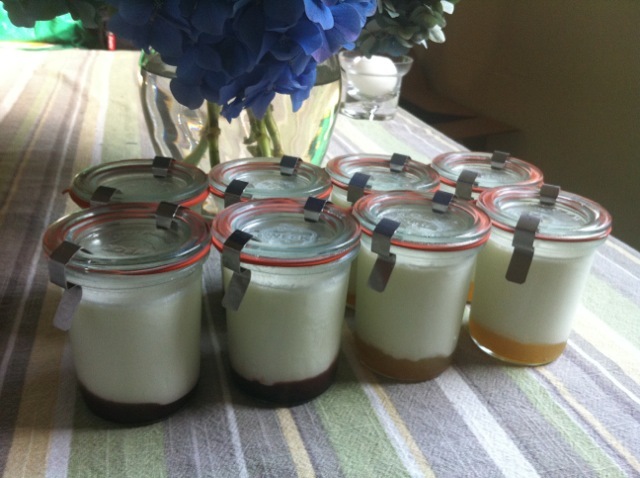 We should dig deep into the yogurt to find the fruit on the bottom. 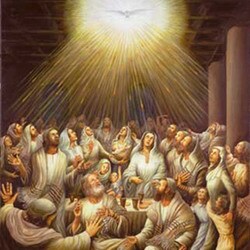 The day of Pentecost, being the anniversary of the giving of God’s Torah, is the day He gave His Holy Spirit so we can understand that Torah. Am I a Pharisaical Legalist? I appreciate your response, Steve, and I understand the lack of information about the Jewish festival of Pentecost. You see, in the Septuagint, which is the Hebrew Scriptures translated into Greek, the word for Shavuot is Pentecost. 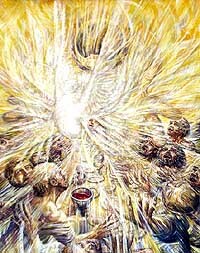 If you would Google ‘Shavuot’ you will see that there are many references to Shavuot (Pentecost) being connected to the giving of the Torah. And this is my point: because we have separated ourselves from Judaism, we miss the awesome significance of many things, including this very special day. Regarding the Torah – it is a common misconception that following the Law was intended to save. It never was. If you look at my article, ‘God Explains the Purpose of Torah’ you will see a different purpose for the Torah. Remember, God first saved the Israelites then He gave them the Teachings of how they are to live. Jesus, along with several sages of His time, said that the two most important commandments in the Torah are ‘Love the Lord’ (Deut 6:5) and ‘Love your neighbor’ (Lev 19:18). When we realize that the Torah gives us practical steps of how to do this, we will no longer push it aside but will study it to show ourselves approved (2Tim 2:15). I truly appreciate your comments, Steve. Excellent summation, and so true!! When we begin to understand the Scriptures from a Hebraic mindset, the depth of the mine for gems is endless!! A while back I published a piece titled ‘Was Jesus on Mt. Sinai? Does it Matter?’ http://natsab.com/2013/12/04/was-jesus-on-mt-sinai-does-it-matter/ It is a question we must ask… related to this very discussion! Thanks, Steve! Enjoyed your articles. Thanks for sharing!